The January/February issue of Men’s Health includes an article by Michael Perry with photographs by Eric Ogden titled “Voices from the Flames.” The article contains a lot of statistics that I didn’t know about fires in contemporary America. As a statistician, I like articles with statistics. While this article included a satisfying number of statistics, graphs that would make them easy to understand were absent. 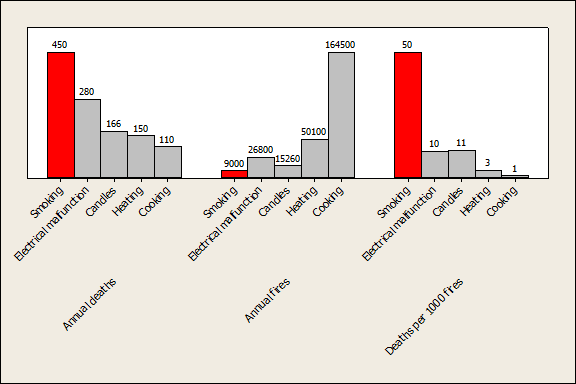 So in the interests of communicating the importance of fire safety, I thought I’d take a minute to make some graphs myself, inspired by some of the statistics that Perry uses. Communicating the meaning of statistics is one of the powerful purposes of Minitab. 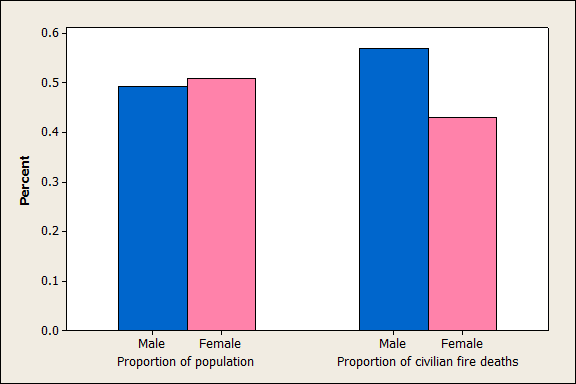 See how the bars are close in height for the population, but not for civilian fire deaths? That suggests that there’s a relationship between gender that doesn’t bode well for those of us with Y chromosomes. 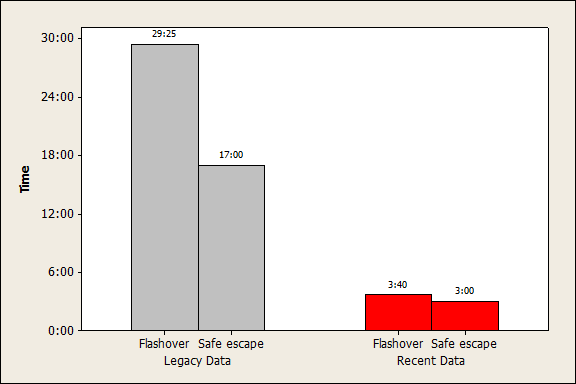 Perry’s article points out how much shorter the time people have to escape a residential fire has become. “’In 1970, your average escape time was around 17 minutes,’ says Larry McKenna, a USFA researcher. ‘Today, it’s as little as three minutes.’” By themselves, those numbers sound dire, but put them on a graph and you get a striking picture of the difference. It never would have occurred to me that fire safety wouldn’t be a consideration in making modern furniture, but apparently fire safety’s fallen by the wayside in favor of other considerations. It’s easy for me to behave as if fires can only happen in other people’s homes, and that only careless people are in real danger from fires. Then along comes an article in popular media that exposes my ignorance about what fires are really like in the contemporary America. Prefer some less grim Minitab graphs? Check out some graphing tips that celebrate Valentine's Day with Minitab. 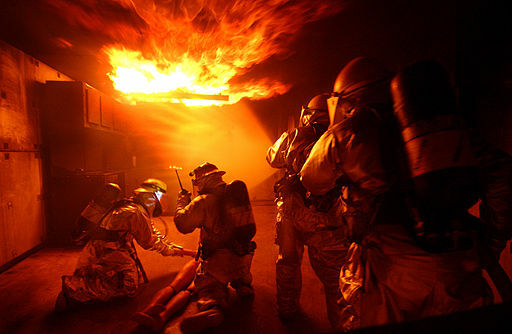 The image of the airmen from the 18th Civil Engineer Squadron Fire Department training is by Tech. Sgt. Rey Ramon and is in the public domain.